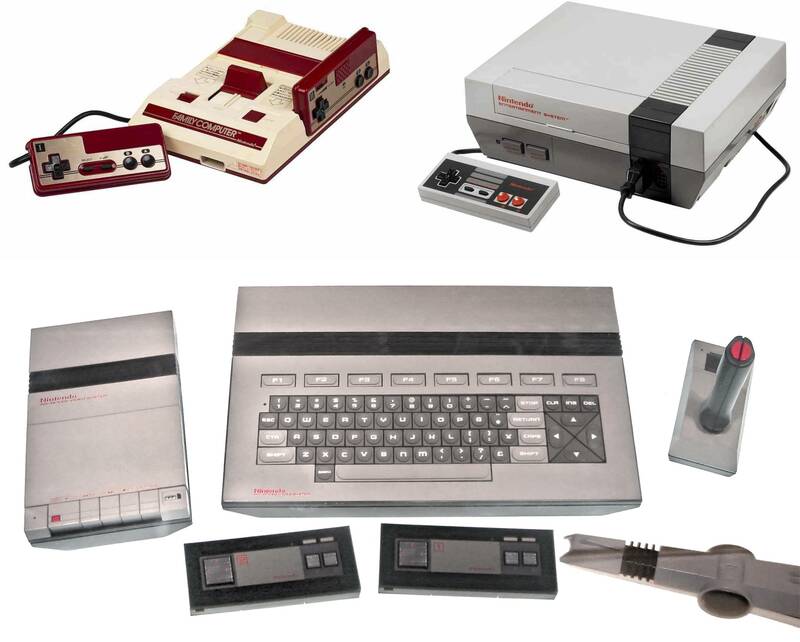 This article outlines all of the most notable peripherals for the Nintendo Entertainment System, how they worked, and why many did not. Nintendo has always been an innovative company, producing hardware, games, and peripherals that were well ahead of their time. While many of Nintendo’s releases have been revolutionary successes, there are also some that were ahead of their time in a bad way. In some cases, the development team did not have the resources or skill to realize their vision, or else the technology available was not adequate or cost-effective. Other times, a good idea was wasted due to a lack of support or compatible games. And of course, there is the odd product that was just a terrible idea to begin with. Every console that Nintendo has produced has had at least one odd or poorly thought-out peripheral released for it. This article will focus on accessories developed for the Nintendo Entertainment System, which had more than its fair share of gimmicky devices. In some instances, they were strangely brilliant. Others were...not. Perhaps the most iconic of the NES’ terrible peripherals, the Power Glove is the pinnacle of "so bad, it’s good" accessories. Due to its notoriety, it has become an obligatory inclusion on any list of the worst video games accessories and retains a dedicated cult following to this day. The Power Glove represents an ambitious but ultimately poorly executed foray into virtual reality mechanics and motion control. The Power Glove was designed by Abrams/Gentile Entertainment (AGE) and released in 1989 by Mattel in the United States and PAX in Japan. 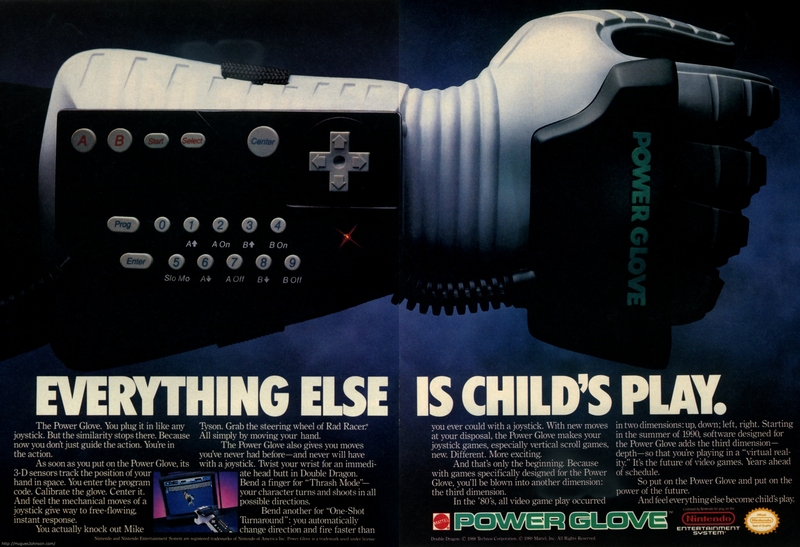 Though Nintendo was not involved at all in the design or release of the Power Glove, they did decide to give it an official license following some initial hesitation. 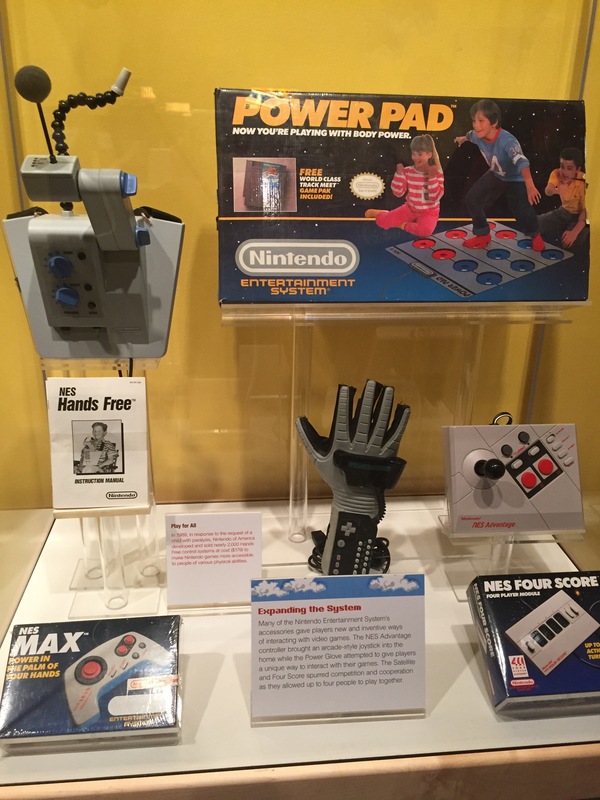 Mattel executive Jill Barad pitched the Power Glove as a revolutionary new device, while Nintendo thought the device was too gimmicky (which yes, might be an odd critique coming from Nintendo) and difficult for children to use. The finally conceded to license the product, as long as Mattel included extra instructions on how to set up and use it. Though it turned out that the Power Glove did not work great, its origins lie with the technology of a far superior (and much more expensive) device: the VPL Dataglove. The Dataglove is a device that uses magnetic sensors for tracking, and fiberoptic sensors to detect bending and movement of the fingers, which determines the yaw, roll, and pitch of the user’s hand. Yaw, pitch, and roll all generally refer to aircraft principal axes, but apply here as well. In layman’s terms, yaw refers to if the nose of the aircraft is pointed to the left or right of a given (vertical) axis. Pitch refers to if the nose is above or below a designated (horizontal) axis. And roll references the longitudinal axis -- essentially if the aircraft is rolling it means that it is tilted, with one wing at a greater height than the other. The Dataglove technology could measure these movements so accurately that it was quickly purchased by NASA for virtual reality simulations and controlling robotics, and by medical research companies that wanted to use it for surgery simulations. The Power Glove, on the other *hand*, was literally a poor man’s version of the Dataglove, which was scaled back and downgraded to make it a feasible product for the average consumer. Following AGE’s pitch of the device to Mattel, the toy company asked that the device be ready for the 1989 holiday season, which gave AGE engineers only five months to modify the $9,000 Dataglove into a consumer-ready product. AGE ultimately succeeded in creating a product in time, with each unit costing $23 for Mattel to produce and could be sold for an $80 retail price. After receiving their official Nintendo license, the Power Glove was ready to go. This dramatic cut in costs (and as we would soon see, functionality) was mainly achieved by replacing the expensive magnetic trackers of the Dataglove with ultrasound tracking technology and, instead of using fiberoptics, giving the Power Glove sensors coated with semi-conductive ink to detect finger flexure. Whereas the Dataglove has a resolution of 256 positions (8 bits) per finger for four fingers (the thumb and first three fingers of the hand), the Power Glove has a resolution of four positions (2 bits) per finger for four fingers. Unfortunately, these changes did not permit anywhere near the same level of accuracy or responsiveness, as the 2 bits of resolution only allowed for the recognition of basic finger twitches instead of complex movements. The downgraded Power Glove could also only detect a single axis of movement--roll--allowing the user to rotate their wrist to emulate pushing left or right on the NES controller’s D-Pad, but not much else. Design-wise, the Power Glove consists of the glove itself and a controller on the forearm, and also comes with a set of three receivers that had to be velcroed on and around the television set in a strange L-shape, with one receiver hanging off the side of the TV. The forearm section of the glove includes a regular NES controller, as well as a program button and buttons labeled 0 through 9. These buttons were used to input a specific control scheme for whatever game you happened to be playing. Yes, every game had their own code. The glove component contains two ultrasonic speakers, or transmitters, on either side. These speakers emit short bursts of 40 kHz sound pulses, which are received by the microphone receivers placed around the television. By measuring how long it takes for the sound to reach each microphone, it is possible to triangulate the X, Y, and Z location of each of the two speakers contained in the glove. This is how the roll of the Power Glove is detected. Functionally, the Power Glove is a mess. Using the roll of the glove to determine left and right movement is spotty at best and necessitates that the user holds their arm out at all times to create a straight plane. It makes my arm tired just thinking about it. This design scheme left no consistent method for inputting “up” or “down” controls on the D-Pad either, and it was basically impossible to distinguish between “a” and “b” inputs with twitches of your fingers. Cutting down the expensive hardware might have made it possible to sell units of the Power Glove, but left it nearly impossible to use. Only two games were released in the US for specific use with the Power Glove -- Super Glove Ball and Bad Street Brawler, and neither of these ever came out in Japan. To make things worse, neither of these games were bundled with the Power Glove and did not sell well on their own. 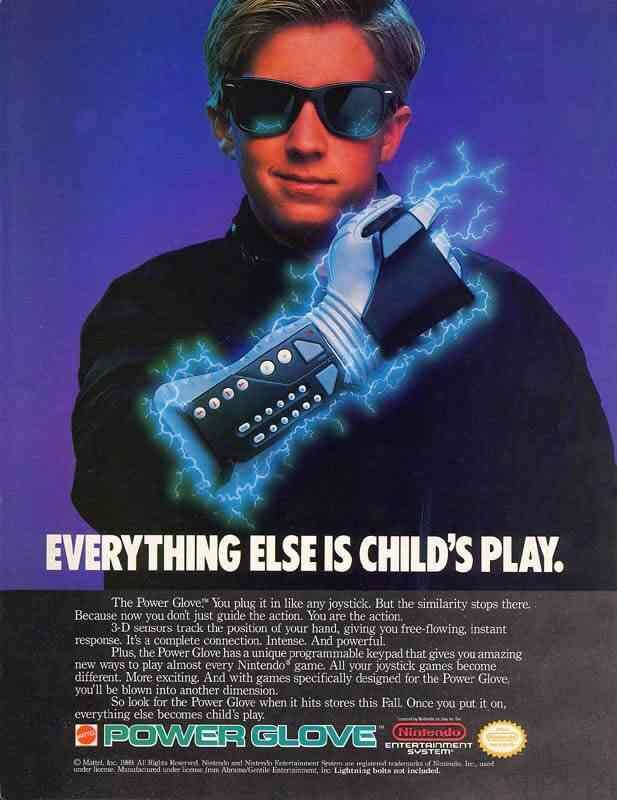 The Power Glove, sold by itself, had a Tron-esque marketing campaign and went on to sell nearly one million units. Though it had little in the way of its own games, the Power Glove could theoretically be used as an alternate controller for just about any other NES game. Due to its relatively high price point, the Power Glove became something of a status symbol and was owned only by the “coolest” kids with parents that could afford such things. However, users soon found that that the Power Glove was unresponsive, imprecise, and tiring to use regardless of what game they used it for. The product was discontinued about a year after its initial release. The Power Glove is notable today for its enduring place in pop culture. It was prominently featured in The Wizard, a 1989 Nintendo-produced film, in which the wearer famously says, “I love the Power Glove. It’s so bad,” and has been referenced various shows and other media since. If nothing else, the whole Power Glove debacle was worth it for its modern meme potential. It also looks awesome in an ironic, self-aware relic of the late eighties sort of way, and is a worthy addition to your collection of retro video gaming regalia -- but only to look at. In a way, the story of the Power Glove is a genuine tragedy. 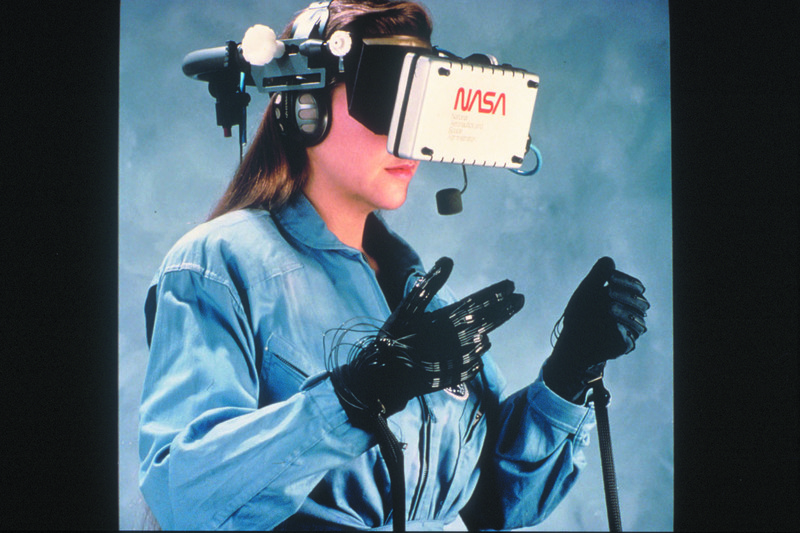 As one of the pioneering video game peripherals for virtual reality mechanics and motion controls, the concept was truly ambitious. The technology on which it was based was extremely accurate and cutting-edge, and the AGE engineers that utilized it for video gaming were clearly very passionate about what they were doing. Even Mattel should get some credit for seeing the concept’s potential. However, the execution of the Power Glove is where it faltered. AGE and Mattel should have realized that condensing the $9000 Data Glove technology would cut out too much of what made the device useful in the first place. With the technological limitations of the time, as well as the tight time parameters faced by the AGE developers, they simply had no hope of creating a price-friendly device came anywhere close to the concept’s lofty ambitions. People need to give R.O.B. a break. If you aren’t already familiar with the R.O.B. 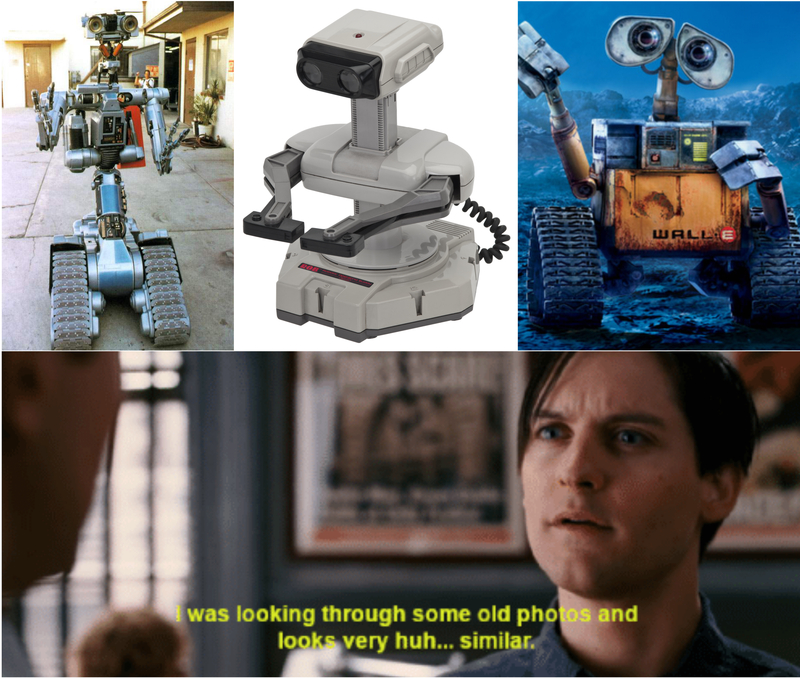 peripheral or with his Smash Bros. appearances, the Robotic Operating Buddy basically comes across as the evolutionary link between Johnny 5 and WALL-E. While R.O.B. is very charming in its own right and can make for a nice toy or decoration, the peripheral itself is widely considered fairly useless, as it is only compatible with two sub-par games. 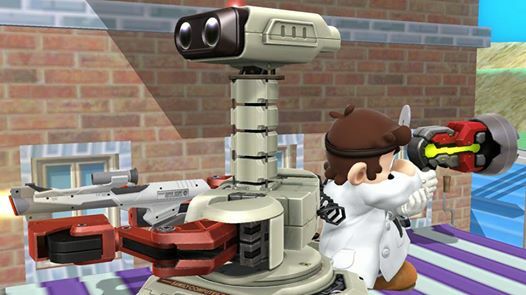 While many people poke fun at R.O.B. for being pointless, it may have played a huge role in saving the video game industry. From 1983 to 1985, the future of video games in North America was uncertain. The industry was facing a major recession due to a combination of poor business practices, market saturation of too many consoles and games, and the increasing interest in home computers over video game consoles. The Famicom (Family Computer) was released by Nintendo in Japan in 1983. The system was a huge success and the company began to look into distributing it in North America. However, due to the video game crash, retailers were wary of carrying video game consoles that might not sell, especially considering the relatively high price of consoles compared to other products aimed at children. Despite the recession of consoles, Nintendo noticed that kids were still flocking to arcades, and the interest in video games was still very much alive. They believed that their product would sell if given the chance, and began redesigning the Famicom to distance its image from the stigmatized realm of home gaming consoles. The Advanced Video System was born, a sleek new version of the Famicom that looked more like a PC than a console and came with fancy peripherals, including the Zapper (item #4 on this list). This new system was unveiled to the public in 1985, at the Winter Consumer Electronics Show. People were intrigued by the new system and the show’s Nintendo booth was packed. However, the public saw through Nintendo’s ploy to pass off the Advanced Video System as a non-console, and Nintendo didn’t succeed in making any sales. Nintendo was left to redesign the console yet again in an effort to both lower the price point and take the design one step further from what a typical console looks like. Here, we got the iconic NES design, in which games were loaded into the interior of the console, like a VCR. Branding was also an important component, and all marketing and official materials avoided including the term “video game.” The NES was an “entertainment system” rather than a game console, and cartridges were called “game paks.” Though the Zapper was a good start, Nintendo needed one more component to convince retailers that the NES was more of a toy than a console. R.O.B. was the answer. Designed by Nintendo of Japan, R.O.B. was the manifestation of every kid’s dream: it was a robot that would play games with you, essentially acting as your player 2. Robots were a big deal in the ‘80s toy market, and R.O.B. seemed to fit right in. Nintendo of America gave the peripheral a try and were skeptical -- although R.O.B. looked great, it was slow, noisy, and not very much fun to play with. Despite this, R.O.B.’s ultimate goal was to get retailers to put the NES on store shelves, after which the console would sell itself. Nintendo succeeded in putting out the NES as a limited release in New York City, in order to provide a test run for the console. Nintendo struck a deal with New York retailers in which Nintendo employees would provide all the manual labor setting up in-store displays, and the store would not have to pay for the inventory. After 90 days, the store would reimburse Nintendo for any sold units and either continue to sell the system or return any unsold units. Retailers were still skeptical and thought Nintendo was out of their minds for taking such a risk. Having nothing to lose by taking the deal, many retailers agreed. The NES Deluxe Set included not just the console, but also the Zapper and R.O.B. peripherals, and two games. R.O.B. himself was featured heavily in both commercials and in-store displays, making him the face of NES marketing. R.O.B. actually has a fairly interesting, though simple, design. His eyes are photosensitive lenses that can pick up signals from the television screen in the form of green and black flashing lights. When R.O.B. sees one of the flashes, it translates into a command and he moves accordingly. Similar to the Zapper, R.O.B. was designed to function with CRT displays and does not work with newer types of televisions. 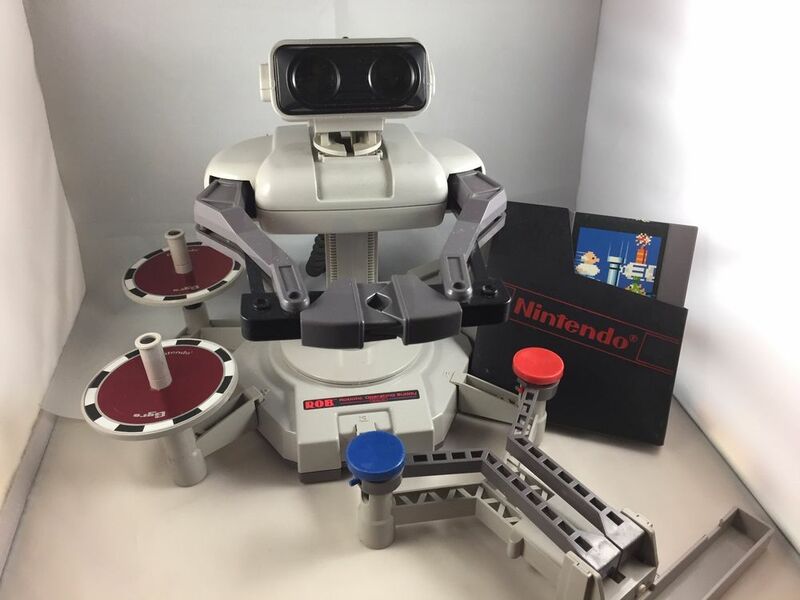 Though R.O.B.’s functionality was questionable, it is commendable that Nintendo created a peripheral that did not directly interact with the NES in any way. 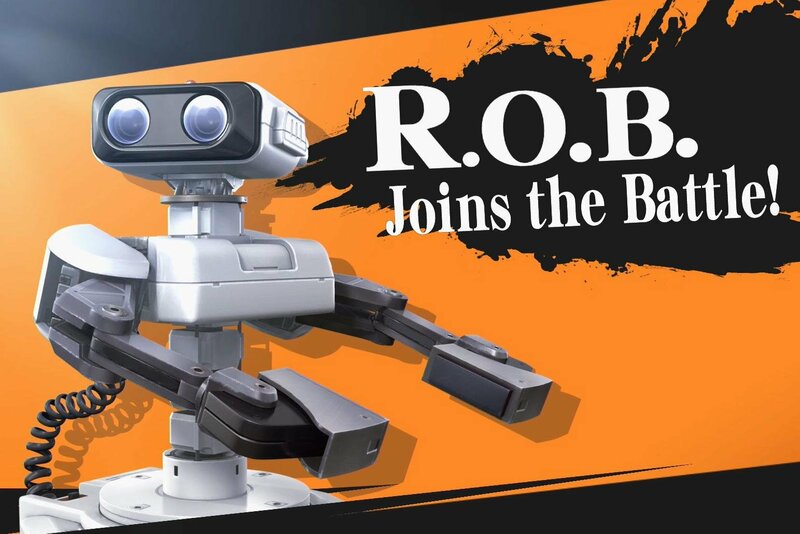 Though it would probably have been easier to plug R.O.B. into the NES and send him commands that way, designing the robot to “react” to on-screen commands is much more interesting and perhaps more immersive when it comes to feeling that you actually have a robot buddy to play with. R.O.B. is compatible with two, and only two, NES titles: Gyromite and Stack-Up. Just as R.O.B. is an accessory, he too has different accessories that are needed to play each game. Gyromite's set-up (pictured below) required two gyros, a gyro spinner, gyro holder, attachable hands that allowed R.O.B. to grip the gyros, and a controller attachment that allowed R.O.B. to push the buttons on the NES controller (which was plugged into the console’s second port). R.O.B. also came with a visor that could be put over his eyes, which was used if the light from your TV was too bright and he was having trouble picking up signals. R.O.B. himself required 4 AA batteries while the gyro spinner required a D battery. If all of this makes R.O.B. sound convoluted and difficult to set up, that’s because he was. And that was just for Gyromite -- Stack Up required entirely different add-ons. Both Gyromite and Stack-Up involved the player inputting commands to R.O.B. These commands caused the green and black lights to flash on the screen. R.O.B. read these and followed the commands to move gyros (or blocks, in the case of Stack-Up) from place to place. The commands involved rotating R.O.B. left or right, raising him up and down, and opening and closing his arms to grasp items. A complicated process already, this was made more aggravating by how slowly R.O.B. moved, coupled with his clumsy tendency to drop pieces and knock over stacks of blocks. He also made an annoying whirring sound with every move, which got old quick. His slow movements often caused the player to die in Gyromite, and users soon found that it was easier to either press the buttons on the Player 2 controller themselves or have a human friend do it, rendering R.O.B. superfluous. Though R.O.B. succeeded in promoting the NES, the robot met with a great deal of criticism. People complained that he was much too complicated and tedious to play with. He had only two games, and neither of which was very exciting. However, by that point, what people thought of R.O.B. no longer mattered. The NES itself had found its way into the hands of consumers and was a huge hit. Though Nintendo had planned to release four more R.O.B. compatible games, this step no longer seemed necessary and they more or less abandoned the peripheral entirely, save for cameos in future games. While R.O.B. was a failure when it came to offering fun or interesting gameplay, that was never his primary goal. His real purpose was as a marketing tool, to encourage consumers to take a chance with the NES and help the system gain some traction in the North American marketplace. In this, he succeeded and should get some credit for his role in ending the video game recession and for the success of the NES in America, which paved the way for Nintendo’s future successes and even the advent of Sony’s PlayStation and Microsoft’s Xbox. All in all, we owe R.O.B. a debt which we can never truly repay. The Speedboard, released by Pressman Toy Corporation in 1991, was essentially just a big hunk of plastic. It did not come burdened with wires or any unnecessary functionality, and its only use was that the NES controller could be nested into it. 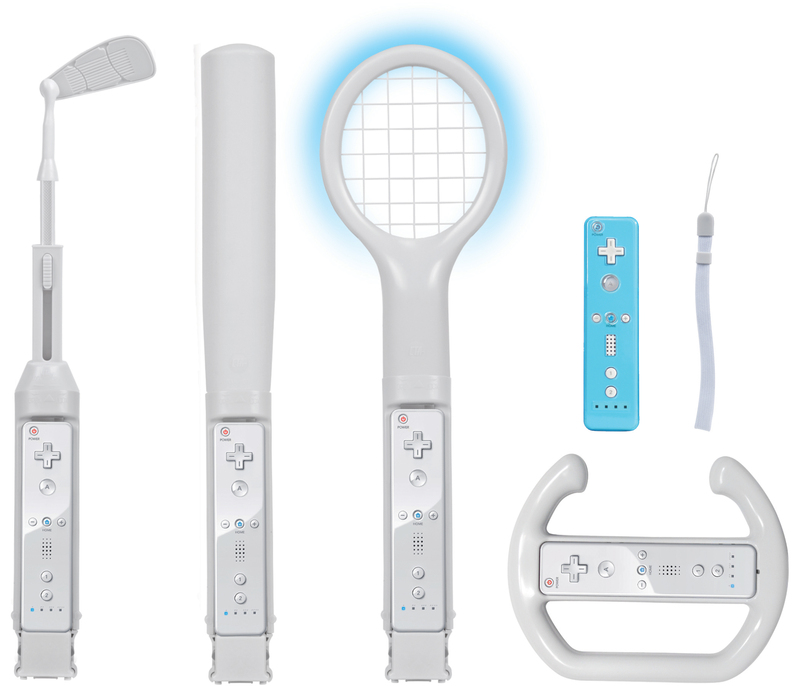 In this way, it unknowingly acted as a precursor to the Wii Wheel and various Wii remote sports accessories. The Speedboard peripheral basically acted as a large plastic holder in which the player could securely place their controller, thus creating a “hands-free” experience that allowed the player to press the buttons on the controller much more rapidly, and supposedly achieve higher scores and quicker reactions times. Well, that was the idea anyway. 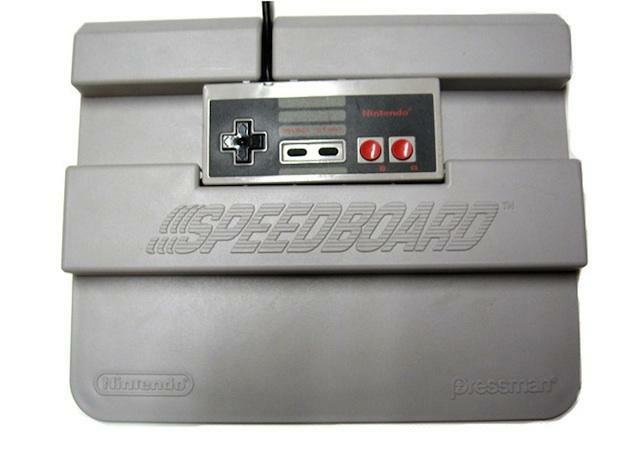 "The Speedboard, the fastest way to play your Nintendo Entertainment System! Puts the speed at your fingertips! Increase your game scores! Better reaction time and speed! Holds your controller so you don't have to!" It is debatable whether the Speedboard was actually effective in increasing the user’s reaction time and speed. Notably, it could be a helpful peripheral for people with physical difficulties who had difficulty holding a controller for long periods of time. However, it was never marketed for this purpose, so this utility was more of a convenient accident. Regardless of whether it helped with reaction time or not, it was an awkward peripheral that required you needed to put on a table in front of you in order to use properly. It was also rather ugly. There were much better options available for increasing your button-mashing speed, such as with a turbo controller like the NES Max or NES Advantage. Or even just setting your NES controller down on the table. The Speedboard was backed by a considerable marketing campaign, but this was not enough to save it from mockery and being critically panned on release. Consequently, it was discontinued just a few months after release, with little fanfare. 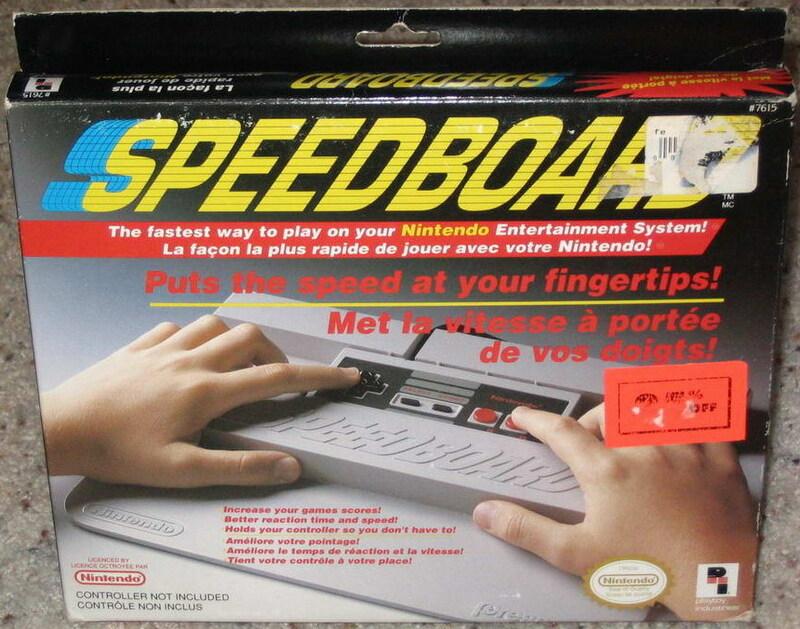 Though the Speedboard was made by Pressman, it was officially licensed by Nintendo, showing once again that their judgment was not always perfect. Strangely enough, the product apparently also received an official endorsement from NASCAR driver Kyle Petty, though the connection between the two is unclear. I guess because NASCAR is fast and it’s the SPEEDboard? That has to be it. To be honest, the Zapper isn't all that strange when it comes to NES peripherals. Gun accessories had been done before the NES are still commonplace now. The Zapper is worth mentioning just to get a better idea of how it worked. As the standard light gun accessory for the NES, the Zapper is the first peripheral on this list that isn’t a complete waste of time from a functional perspective. Released in Japan in 1984, it allowed players to shoot on-screen targets and worked fairly well. In North America, the Zapper was packaged and released alongside the NES in 1985. Just the fact that the console came with a gun was a big selling point for American children. As we learned with R.O.B., a gaming peripheral is only as good as its library of supported games, and the Zapper is one of the few NES accessories that does not suffer from a lack of compatible games. 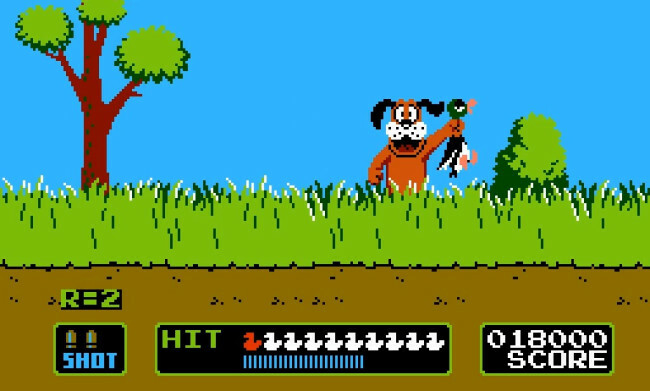 Among the most well-known titles are Wild Gunman, Hogan’s Alley, Freedom Force, and, of course, Duck Hunt, but in total there are 17 licensed NES games with Zapper compatibility. The Zapper has a simple design. Its main components are a trigger and photodiode, or light sensor, in the gun barrel. Pulling the trigger caused the entire display to go black for one frame, during which the photodiode samples the black color from the TV screen in order to establish a reference point. This is done in order to account for the ambient light in the room, which would vary greatly between settings and likely throw off the Zapper. In games with multiple on-screen targets, such as Duck Hunt, the game cycles through several of these screens in succession, with only one white target area per frame. When the Zapper’s light sensor detects that a target was hit, it knows which target by which corresponding screen is displayed during that frame. In this way, the Zapper has no need to detect where on the screen the light source is because there is only one light source at any given instant. After a frame has flashed for each respective target, the game’s graphics are shown again normally. Because we’re talking about a matter of frames, this entire process happens very quickly and appears to the human eye as one quick black flash. Luckily, this flash can easily be mistaken as an aesthetic choice, as it somewhat resembles a muzzle flash. Although there were many light guns before the NES Zapper, and indeed it was common for contemporary consoles to each have their own version of the light gun, Nintendo improved upon the design with the inclusion of the completely black frame, which as we know allowed the photodiode to get a reference point. With earlier light guns, it was possible to aim the gun at a consistent point of white, such as a light bulb. This would trick the system into thinking you were getting hits. The implementation of the black screen prevented players from cheating to get perfect scores. Though the Zapper is overall fondly regarded, one downside is that it can only be used with older cathode ray tube monitors (CRTs) and does not fare well with more modern displays, like LCDs, plasma screens, or most other flat-screens. Because the Zapper is basically just a light detector it seems like it should work on any screen, but in reality, the process described above requires very specific and consistent timing which was possible on CRT displays, but not digital ones. CRT displays are created by a scanning electron beam that scans horizontally across the screen line-by-line, from top to bottom. This process appears instantaneous to the human eye, partially because it is extremely quick and partly due to the persistence of vision, the phenomenon in which perception of an image does not fade instantaneously once light from the object is no longer entering the eye. The Zapper made use of this CRT design element because photodiodes can see that a particular area of the screen is highlighted in a given instant, while a human being cannot. Newer displays suffer from a phenomenon called “display lag” in which there is a brief delay between the time of the signal input and when the input displays on the screen. This is because modern displays render each pixel at exactly the same time, rather than line by line, as with CRTs. This causes a slight delay, or rather that the display is not constantly displaying new pixels. Again, this entire process is so quick that there is no visible delay to the human eye-- otherwise, we wouldn’t want to use them to watch things. Though this delay has only been measured to take up to a maximum of 68 ms, or 3 to 4 frames, this is enough time to upset the communication between the Zapper, display, and console, which relied on extremely precise timing between components, as well as the steady influx of information across the display. Check out this article for more info on the Zapper’s interaction with modern displays. Although the Zapper is effectively useless on any modern display, it still enjoys a dedicated fanbase and healthy legacy to this day. And if you have an old CRT TV lying around, it’s good for a game or two. 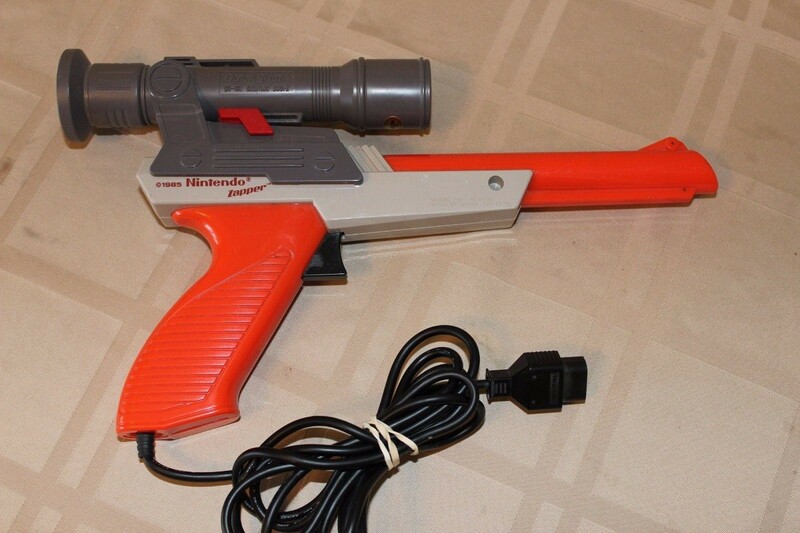 Aside from the Zapper itself, there were three light gun-related peripherals that Nintendo officially licensed for the NES. The first was the Deluxe Sighting Scope, a scope that was manufactured by Bondwell and actually snapped on to the Zapper. 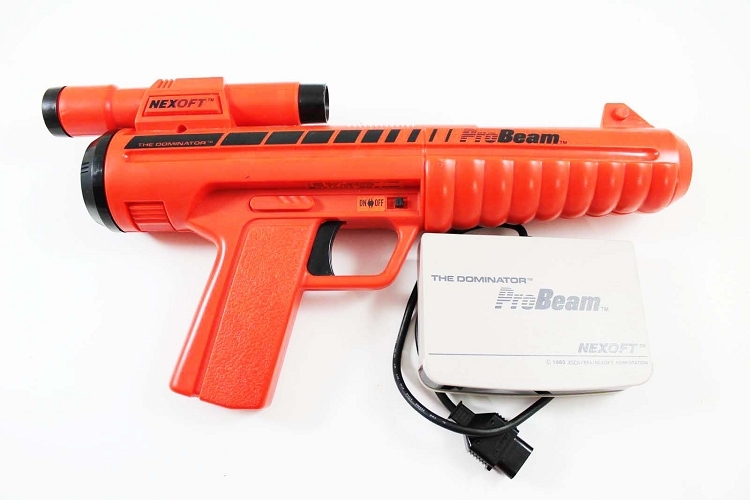 There was also the Dominator ProBeam, released by Nexoft, which was essentially a wireless version of the Zapper with a built-in scope. 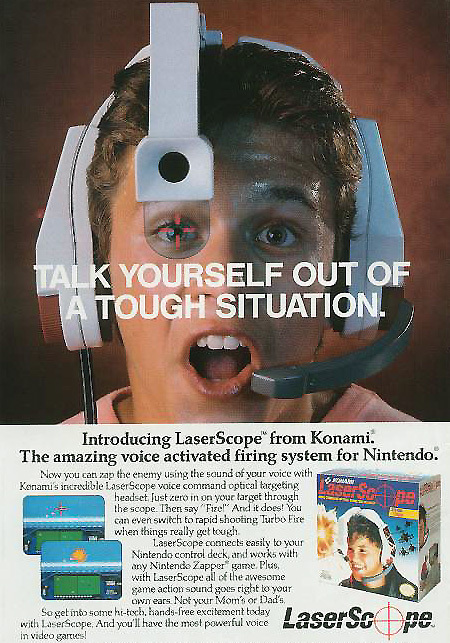 The LaserScope, released by Konami, is a headset version of the Zapper that seamlessly blends the line between awesome and moronic. It was designed specifically to go with the game Laser Invasion but is compatible with any game that works with the regular Zapper. Unlike the other light gun accessories, the LaserScope is voice activated and includes a fold-down microphone on the left side of the headset. The LaserScope was designed to shoot whenever the user says “Fire!” but the device has been criticized for using inadequate microphone technology and being extremely over-sensitive. Consequently, the LaserScope is known for going off any time the user says any word at all, or if essentially any other noise is present. Whether it’s your dog barking, your parents talking quietly in the other room, a bird flying by outside, or your own breathing, it will set this sucker off. The LaserScope also includes a detachable laser sight that went over the user’s right eye. The sight itself is a blue eyepiece with a red crosshair projected onto it. Though it looks ridiculous, the crosshair does line up well with the targets on the screen. However, you’re liable to go cross-eyed from looking at both the eyepiece and TV at the same time. While the stereo headphones themselves work fine, I think it’s safe to assume that most consumers, even children, wouldn’t be caught dead walking around listening to their Walkman with this ridiculous behemoth on their head. 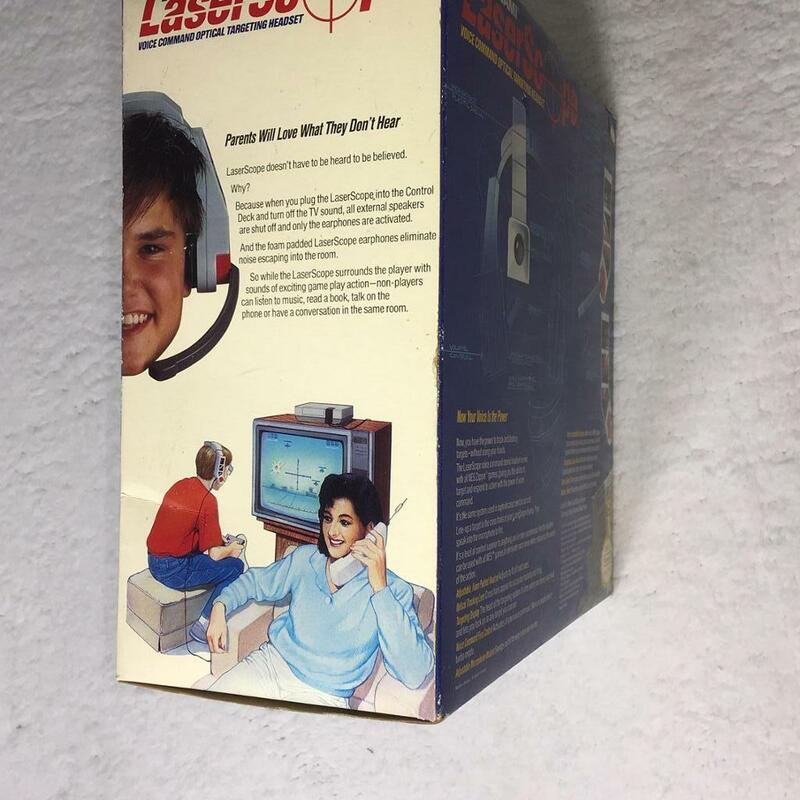 Due to the size of the headset, the LaserScope can also only be feasibly used by very small children, unless you want to have your head crushed in a helmet of plastic. But, to be fair, kids were probably Konami’s main target audience. 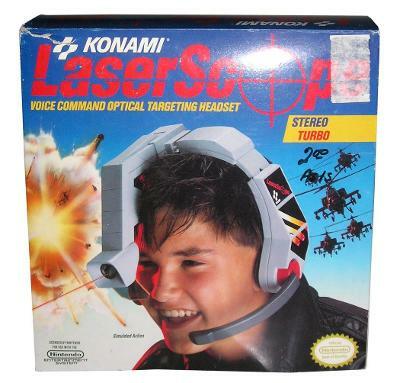 Even if the headset functioned perfectly, the entire concept of the Konami LaserScope is ridiculous and never had a chance of being good. Why? Because no one wants to aim a gun by moving their head and neck around when they could just point it with their hands. Not only is aiming the Zapper with your hands quicker, but it also is less likely to result in personal injury. Just thinking about using the LaserScope makes my neck hurt. To top it off, the regular Zapper that was included with the NES is far superior. Unless you like to collect terrible peripherals just because they’re memes (which is valid), there is absolutely no reason to own a Konami LaserScope. 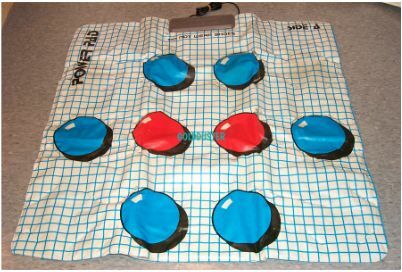 The Power Pad for a floor mat controller that resembled something in between a Twister mat and the dance mats that would later be used for games like Dance Dance Revolution. The floor mat controller was developed by Bandai and originally released in Japan in 1986 under the name Family Trainer, and in North America in 1987 and Europe in 1988 as Family Fun Fitness. Shortly thereafter, Nintendo bought the rights from Bandai to release the accessory in North America. There were eleven games developed for the Family Trainer/Power Pad. The majority of which were athletics or fitness based, such as Athletic World, World Class Track Meet, and Dance Aerobics. Unfortunately, of these games, only six were released in North America and one of them, Stadium Events, was exceedingly rare. It was released with Family Fun Fitness before the Nintendo rebranding and subsequently recalled from shelves, but not before a few copies were bought up. Due to its rarity, a copy of Stadium Events reportedly sold for $13,000 on Ebay in 2015. With an effective total of five playable titles, the peripheral gave little reason for people to care about it. Though it seems obvious in retrospect given that Dance Dance Revolution would come along in the ‘90s and “revolutionize” the floor mat genre of video games, no dancing games were actually developed for the Power Pad. 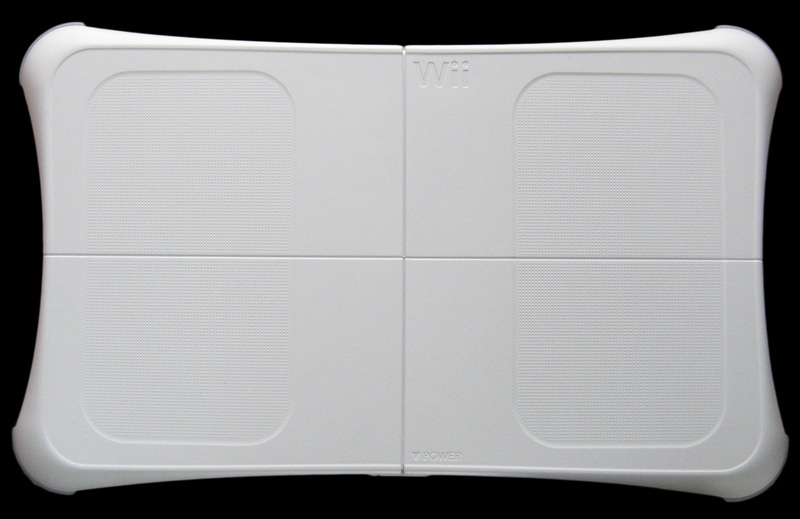 So despite more of its technology being borrowed for dance mats, the Power Pad would actually find a more worthy spiritual successor in the form of the Wii Balance Board. 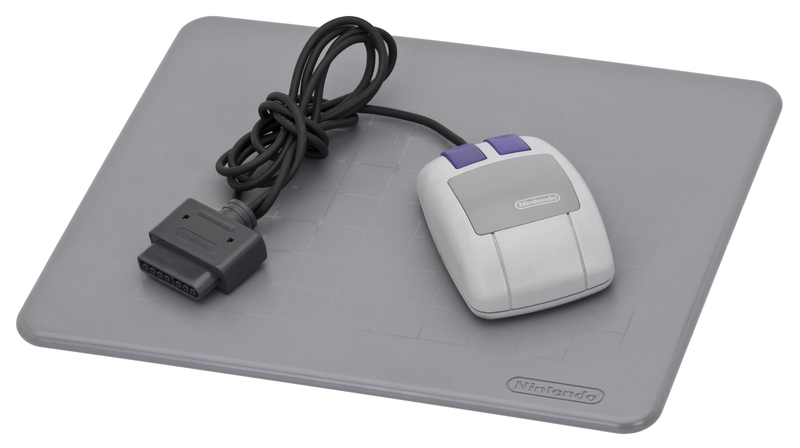 Unlike some of the items on this list, the Power Pad pretty much worked as it was intended to. 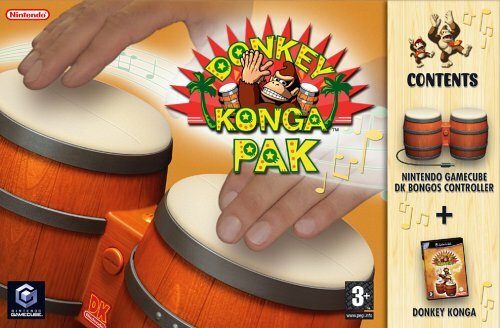 However, most people soon learned that it worked better than it was meant to if you got down on your hands and knees and slapped the sensors like a pair of bongos. This allowed players to get much better times on racing games, without the added exertion of actually doing physical activity. Like the Konami LaserScope, the Power Pad once again showed that controllers are best held by your hands, not controlled by other parts of your body. The Power Pad commercials declared, “You are the game, you are THE POWER. Now you’re playing with power. BODY POWER.” It seems that most gamers didn’t want to play with body power, at least not until DDR or the Wii came around. The Roll ‘n Rocker was developed by LJN Toys for the NES. It was designed to plug into the controller port and be placed on the floor in front of the television. Then, the user would balance on the Roll ‘n Rocker and tilt it this way and that in order to act in place of the NES controller’s D-Pad. I wish this were all a joke but it isn’t. Aside from just being a terrible idea to begin with, the Roll ‘n Rocker was also notorious for malfunctioning regularly. Though LJN claimed that it was compatible with all NES games (aside from those that used the Zapper) it barely worked with any of them, including games that were developed by LJN themselves. This should come as no surprise, as LJN is widely known for making some of the worst video games of all time. To make things worse, the Roll n’ Rocker had a port on the side of it in which you plugged your normal NES controller, thus allowing you to use the A and B buttons. There was no input designed to act as these buttons on the Roll ‘n Rocker itself, meaning that it in no way could act as a viable controller on its own. You had to use the NES controller regardless, and since its D-Pad was eons above the Roll ‘n Rocker anyway, investing in an expensive and non-functional peripheral made no sense. Releasing a controller that you have to balance on sounds like a lawsuit waiting to happen, and in fact, there were a large number of complaints following the release of the Roll ‘n Rocker. The balance board was only designed to be used by people of a maximum of 100 pounds, meaning that, as with the Konami LaserScope, children were definitely LJN target consumers. Parents soon began complaining of minor bruises and fractures that their children suffered at the hands of the Roll ‘n Rocker, and the device was quickly taken off the market. As a result, a fairly small amount of units were sold and the Roll ‘n Rocker is another of the rare and sought after items on this list. 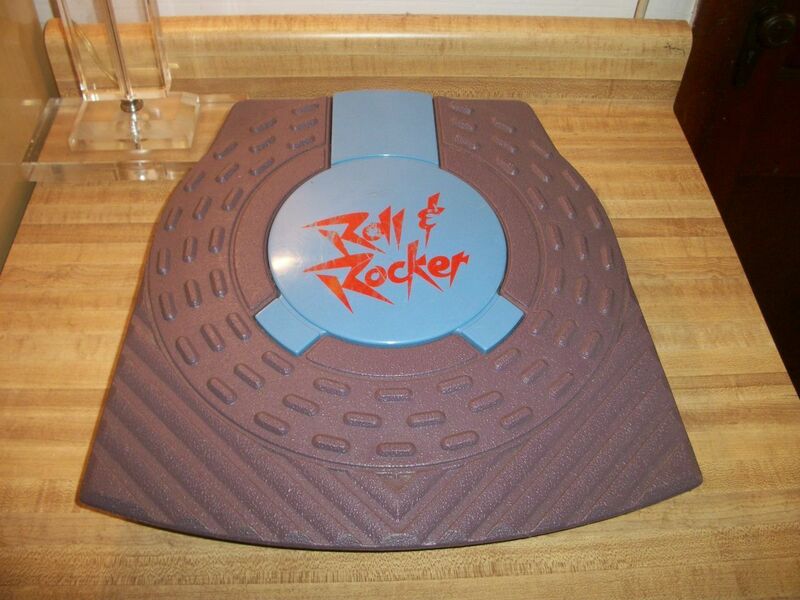 All in all, the Roll ‘n Rocker was essentially just glorified hunk of plastic, barely more advanced, and somehow even more useless, than the Speedboard. Similar to the Power Pad, the Roll ‘n Rocker packaging boldly claimed, “YOU become the directional control pad!” Of all the terrible attempts to turn the player into the game, controller, or button, this may somehow be the worst. Though there are many terrible and dysfunctional peripherals for the NES, the Roll ‘n Rocker is one of the few with no redeeming qualities whatsoever. The Power Pad and Speedboard essentially worked for what they were designed for, even if the Power Pad did not reach its full potential and the Speedboard was designed with little use at all. The Power Glove and LaserScope cross successfully over into so-bad-it’s-good territory. Even R.O.B. makes a nice decoration. But the Roll ‘ Rocker, with its imprecision and unresponsiveness, and the fact that it’s a safety hazard, makes it completely irredeemable. 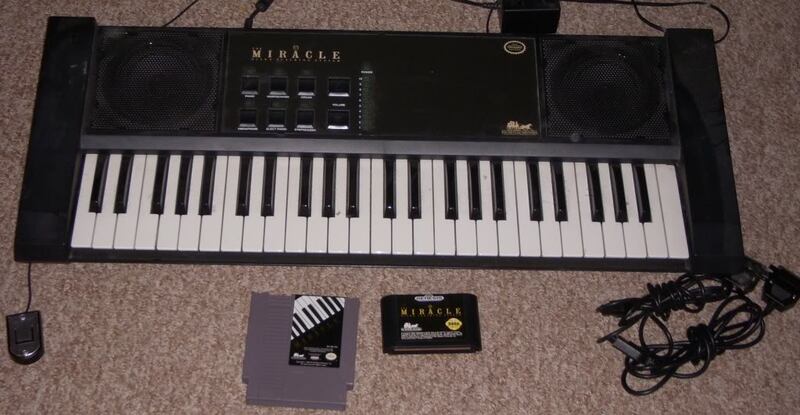 Whereas in 2019 we have the Nintendo Labo’s cardboard piano, back in 1990 there was a real piano: The Miracle Piano Teaching System, a MIDI keyboard tha plugged right into the NES. It was also available for SNES, Sega Genesis, PC, and other systems, with the NES and SNES versions receiving official Nintendo licensing. Far from the worst peripheral on this list, the Miracle Piano actually worked really well. Its only shortcomings were that it had a fairly high price point for a video game peripheral at $500 (US) and there was only one compatible game (also called Miracle Piano Teaching System). Due to these factors, the Miracle Piano had low sales and have fairly high resale value nowadays. Although the Miracle Piano was costly, it was a well-built peripheral, and its one game had a lot of quality content. Marketed as a supplement to formal piano lessons, the Miracle Piano Teaching System actually lived up to its promises. The cartridge contained hundreds of piano lessons, and delved into the classic piano, rock piano, and show tunes genres. In order to appeal to more of the classic video game audience, the game also included several themed mini-games that tested the user’s piano skills. One of these, Robo Man, had players press the correct keys in order to create a bridge for Robo Man, who would fall to his doom if they missed. Another game had the player shoot ducks by pressing the correct notes. A third, Ripchord, the player must make chords in order to safely land paratroopers. If you messed up, they died. Though a bit odd, the Miracle Piano did what it set out to do and was positively received. Despite its high quality, it was never going to be a top seller. It did, however, find a niche audience. Since we began this list with the Power Glove, it seems only fitting that we end the NES section with the console’s other strange foray into motion control. 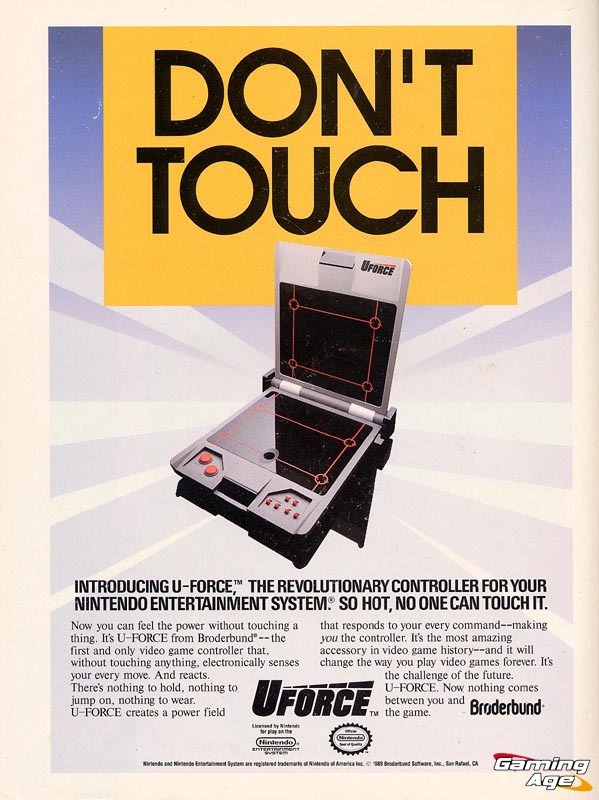 The U-Force was released by Broderbund in 1989, in fact shortly before the Power Glove, and resembles some kind of bizarre mash-up between a theremin and a Battleship game board. The U-Force purportedly translates the hand motions of the player into controller inputs, by using a pair of perpendicular consumer infrared sensor panels. The infrared sensors can detect body heat (infrared energy) and therefore the motion of the user’s hands. The two sensor panels (each containing five sensors) can either be laid flat or arranged into a perpendicular L-shape. These sensors were designed to create a three- dimensional space, or “power field” as the advertisements said, wherein the player’s movements could be read. The device also had switches that could be used to set which sensors were active and which were not, in order to approximate different buttons or functions. These had to be set to different configurations for different games, sort of like the Power Glove codes. Additionally, the U-Force used add-ons for various games, such as this throttle for Top Gun or the “power bar” for Punch-Out!! Notably, these additions didn’t have any wires of their own, and merely interacted with the motion sensors in tandem with the user’s hands. To the consumers of 1989, the U-Force looked wondrous and futuristic. Unfortunately, players would find that the motion controls were confusing to use, and seemingly imprecise and sloppy. While the controller supposedly could be used for any NES games, it was a struggle to approach exactly how each one worked. Of them all, games such as the aforementioned Punch-Out!! and Top Gun, as well as various racing games seemed to fare the best, and were generally regarded as the best games to play with the U-Force. Who else was waiting for him to absolutely destroy the U-Force while playing Punch-Out!! ? 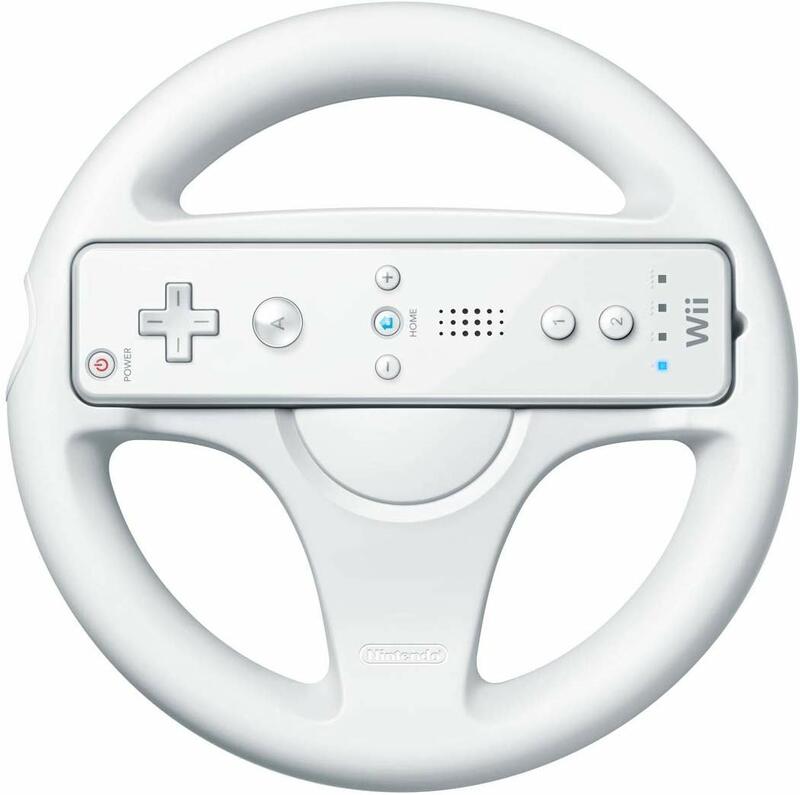 The commercial makes the U-Force controller look like it functions as the Wii remote does -- by punching, Little Mac punches on the screen; by pretending to turn a steering wheel, the car on the screen moves. However, the actual motion controls needed to simulate all of the different NES button inputs, and were both more complicated and less intuitive than the commercial implies. When it came down to it, the U-Force was extremely difficult to use with any semblance of control. It is clear from these modern attempts to utilize the U-Force that the device actually does possess a great deal of accuracy and responsiveness. If you are willing to put in the proper effort to determine the control configurations and hand motions needed for a given game, the U-Force can be used with some effect, and perhaps will create a fun challenge as well. However, when it came out in 1989, the U-Force was universally dismissed as a waste of time, and is generally regarded as trash akin to the Power Glove and Roll ‘n Rocker, both of which had essentially no functionality in the slightest. The U-Force has a terrifically steep learning curve, which probably does not make it suitable for children or the vast majority of the gamer community in general. To makes things worse, at first glance its input responses appear to be completely random, leaving the user with little reason to keep trying or assume that there is some trick that they’re missing. As the final nail in the U-Force’s coffin, it was sold at a relatively high $70 price point, which was quite a lot for a video game accessory in the ‘80s. There is no wonder why the U-Force didn’t catch on. It was unintuitive and gave little reason for someone to devote time to figuring it out. But if you are a collector of obscure video game peripherals and enjoy tinkering around with odd control schemes as a challenge, this peripheral might be worth your time. Many of the NES-era peripherals were very intent on turning the player into the game or controller, while there was nothing wrong with the standard controller in the first place. The best peripherals (such as the Zapper and Miracle Piano) actually provided uses that the controller could not do on its own, whereas the worst simply tried to simulate the controller’s inputs, but did so with less precision. At the very least, all of these concepts were based on solid ideas, with the exceptions of the Roll ‘n Rocker and maybe the Speedboard. The Wii Remote would later show us that the attempts by the Power Glove and U-Force to implement motion control into gaming were based on a good idea that simply wasn’t ready to happen yet. 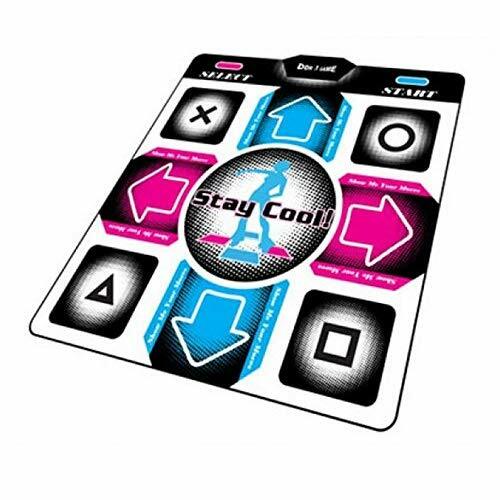 The Wii Balance Board and DDR dance mats would show the utility of activity and step-based controllers that the Power Pad had already advocated for. There were many innovative ideas for peripherals on the NES -- even if many of them did not perform how the players or developers wanted -- and we can be glad they helped set the stage for equally adventurous but more successful advancements down the line, rather than dissuading developers from taking risks on new concepts. When it comes to wonky and often horrible peripherals, the Super Nintendo was leagues behind (or is that ahead?) of the NES. 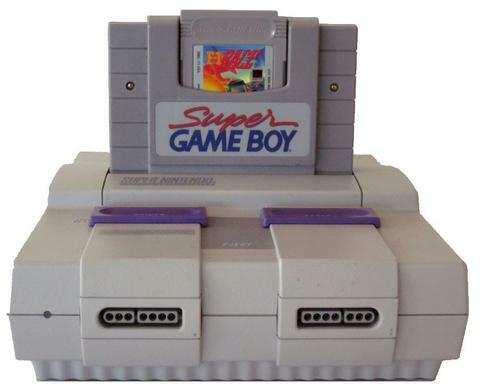 A couple of its most well-known accessories are the SNES Mouse and Super Gameboy, both of which were quite good. However, the SNES did have one infamous accessory in the form of the Super Scope, released in 1992. This Super Scope was in some ways the spiritual successor to the Zapper, but with more dubious decisions made in its development. Although the Zapper was a straightforward gun accessory, the Super Scope is more like a giant bazooka, with the fire button about midway across the top of the gun’s barrel. There was also a pause button in the same region, as well as a switch that was used to turn it off, on to regular mode, or turbo mode. There were also two clips on the top of the barrel for attaching an optional scope. At the bottom, front end of the gun was the last button, labeled “cursor.” This button could be pressed to show where on the screen the gun is aiming and had some specific uses in various games. The scope of the gun includes an infrared photodiode. Ditching the light-weight design of the Zapper, the Super Scope measured in at a whopping two feet in length. The Super Scope was also wireless, rather than plugging into one of the SNES controller ports. While a good idea, in theory, it required six AA batteries and was known for draining them in a matter of hours. While the gun itself was wireless, the device further deviated from the Zapper by including a small receiving box that was placed on the top of the TV kind of like a Wii Sensor Bar. This receiver plugged right into the SNES’ second controller port. Similar to the Zapper, the Super Scope was designed for use with CRT displays, which of course were the norm at the time of its release, and the line-by-line electron ray scanning process that they used to rasterize the image on the display. A photodiode, such as the ones found in the Zapper or Super Scope, can see a briefly illuminated area of the screen, whereas the human eye cannot. Compared to the Zapper, however, the Super Scope uses a more elaborate and supposedly more accurate system, known as cathode ray timing. The Super Scope makes use of this by outputting a 0 signal when it sees the raster image on the TV and a 1 when it does not. This signal is sent via the receiving box to the SNES’ Picture Processing Unit (PPU), which makes note of which pixel on the screen is being outputted when the signal changes from 1 to 0. The game retrieves this information at the end of the frame to determine where on the screen the gun was being aimed. As with the Zapper, the Super Scope is dependent on the short persistence and horizontal line-by-line scan pattern of CRTs and does not work with more modern displays. In a similar vein, the Super Scope was designed to ignore red phosphors, as they have a much slower rate of decay than blue or green, and this can likewise screw up the precise timing and communication required by the Super Scope and other components. Because of this, some compatible games temporarily brighten all of the green and blue pixels on the screen every time the trigger is pulled, allowing the system to determine the position more accurately. The Super Scope only had 12 compatible games, many of which were obscure or only utilized the peripheral for extra games modes, not wanting to be completely reliant on the device to sell cartridges. Most notably, the Super Scope 6 cartridge came bundled with the accessory itself and included six minigames, overall offering relatively high replay value. The Super Scope is mostly remembered as a much more clunky and less fun version of the Zapper. It was compatible with fewer games and really no classics, it was cumbersome and more trouble to hold and shoot with, and it ate through precious AA batteries at an alarming rate. Nowadays, it appears as an in-game weapon in various games in the Super Smash Bros. franchise, which is really where it should stay. Louis Cicalese is a person who has written about the hacker known as 4chan, the hacker known as 2channel 5channel, lesser-known search engines, CSS color names, Leeroy Jenkins, hiring Kermit the Frog impersonators and various other topics. Account created 4 months ago. 38 posts, 45 comments, and 37 RAMs. I am Louis Cicalese, as they say. To leave a comment, login to your account or create an account. Do you like having a good time? Read some quality articles. If you can manage to not get banned for like five minutes, you can even post your own articles. Use your account to explain why people are wrong on the Internet forum. Or don't. I'm not your dad. If someone asks a terrible question, post a LMGTFY link. Hire freelancers and/or advertise your goods and/or services. Hire people directly. We're not a middleman or your dad. Manage your own business transactions. Register now, if that's something that you want to do.